The exact location of the Anchor In is not known to me with any certainly, but there were only a limited number of properties in the vicinity of Sollom Lock, which included a plot of land on the west side of the canal, south of the road incorporating the Smithy and a number of other properties, a row of terraced properties on the opposite bank and Barrowford House, also east of the canal. 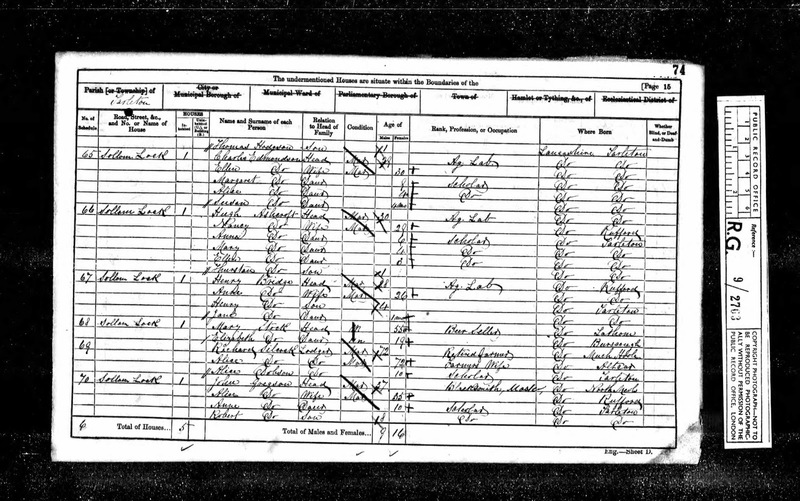 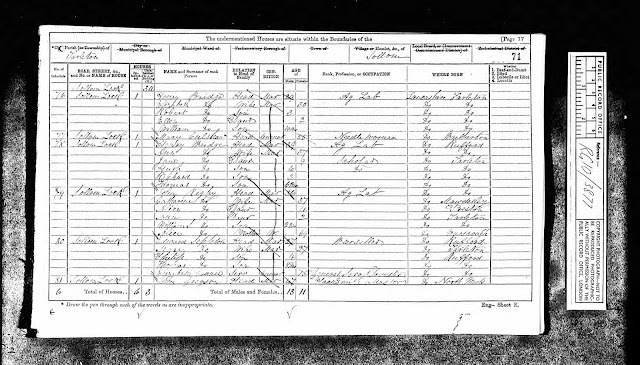 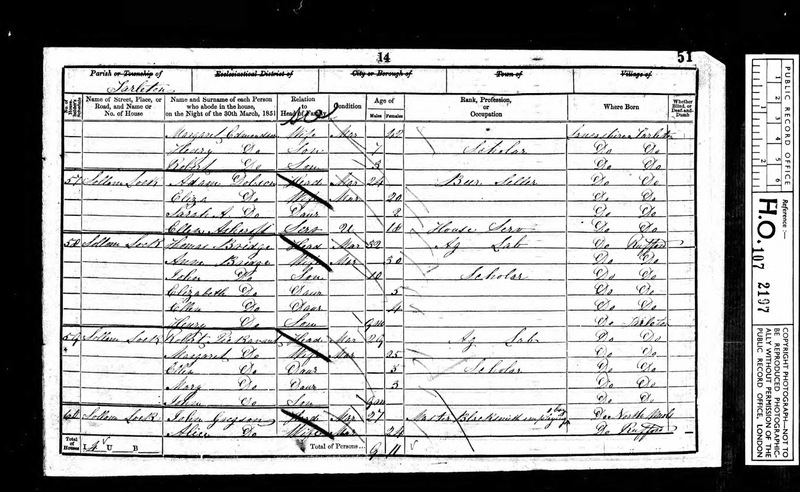 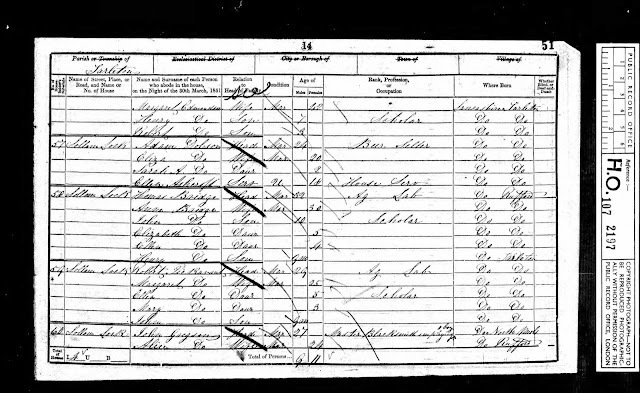 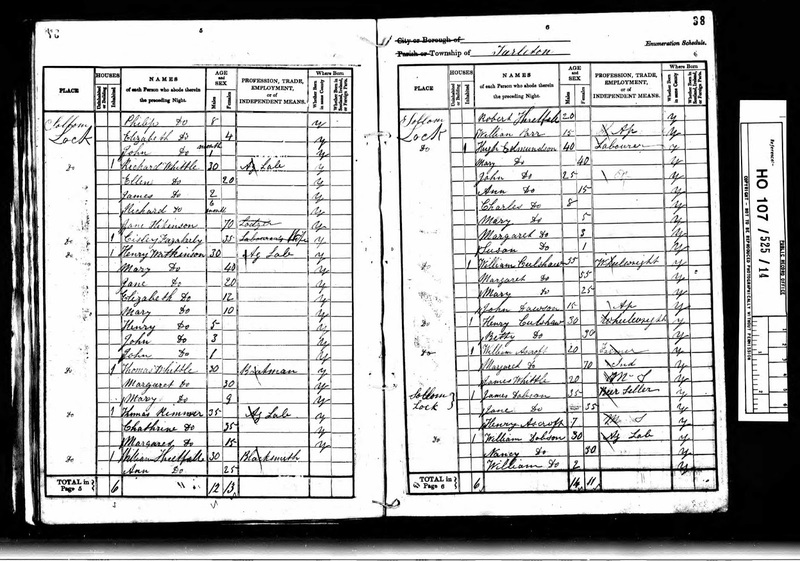 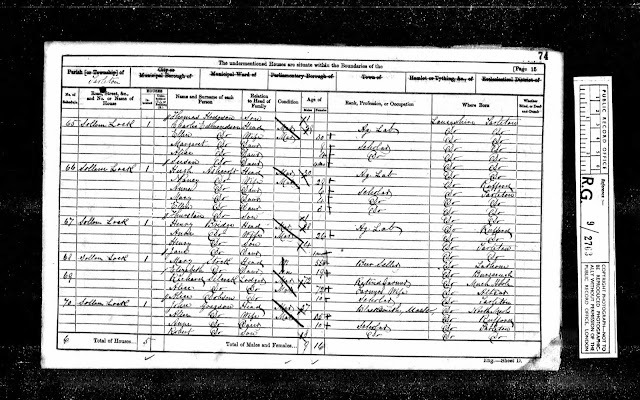 From the census returns the beer house is in close proximity to the Blacksmith's and as such I think it was one of properties on the west side and may well have been part of what is now Lock House, a private residence with outbuildings on that plot of land. 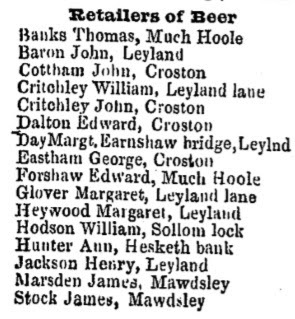 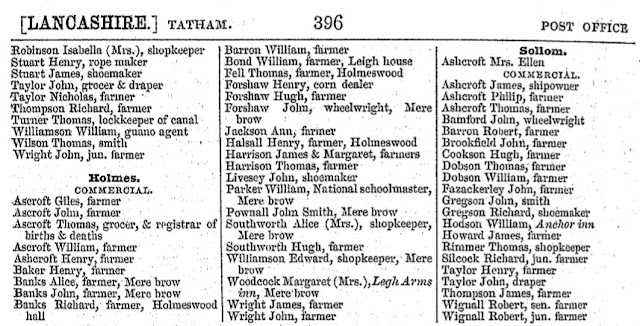 Listed landlords at the Anchor Inn aka Sollom Lock Beerhouse were James Dobson (1841), Adam Dobson (1851), William Hodson (1858-69), Mary Stock (1861) and Edward Sephton (Sefton) (1871). 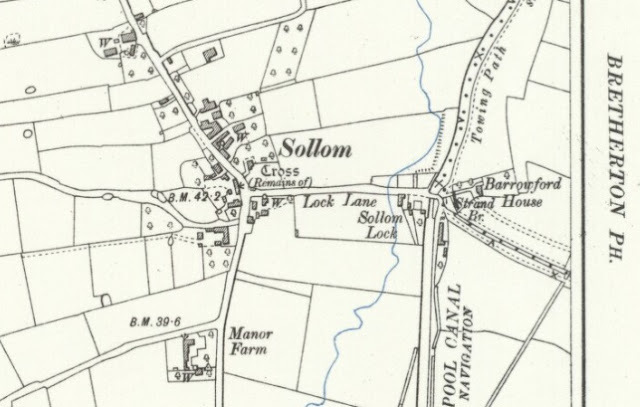 On Monday, Mr. Myres, coroner, held an inquest at the Sollom Lock Inn, on the body of Robert Cookson, labourer, 68 years of age, who had been found drowned in a branch of the Leeds and Liverpool canal. 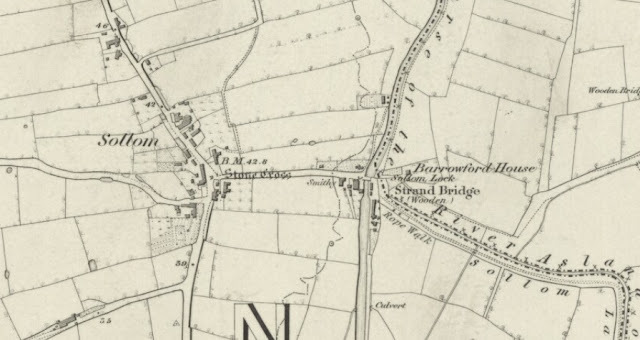 The Anchor Inn ceased to exists after 1871 when the licence was finally refused by the licensing Magistrates on recommendation of the local police Superintendent. 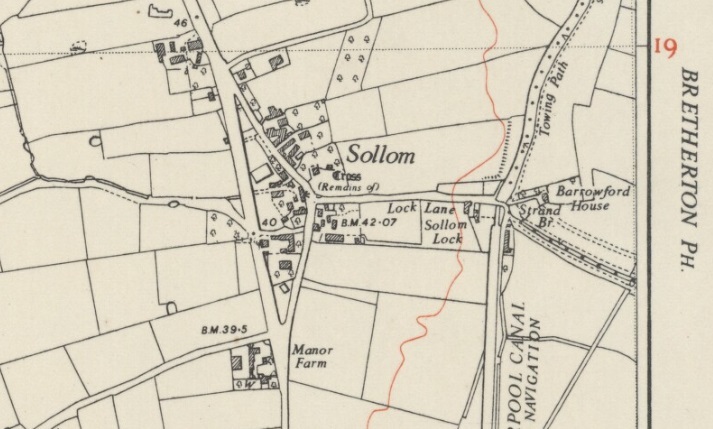 The next application was Edward Sefton, of the Sollom Lock beerhouse, Tarleton. 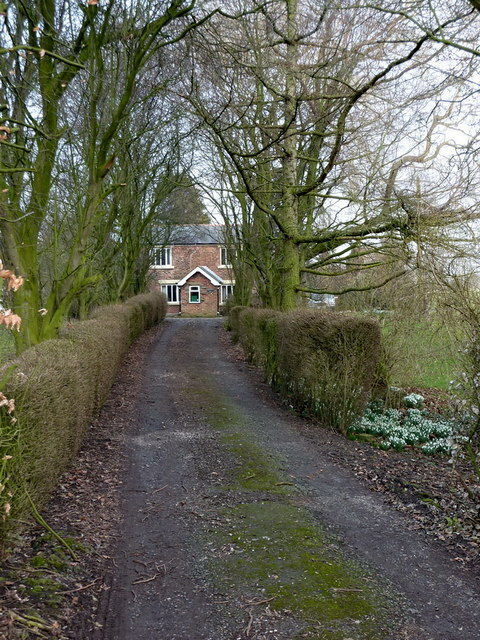 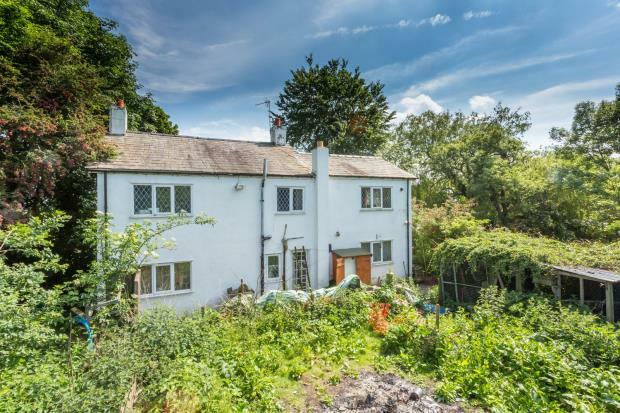 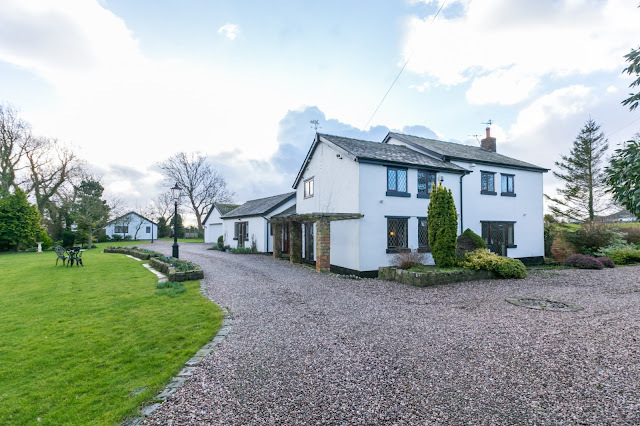 Superintendent Beetham said this house was a considerable distance from the turnpike road, was close to the canal and objected on the ground that it was not required; the previous conviction was also cited in the refusal to grant a new licence.